Vehicle Servicing Nottingham . 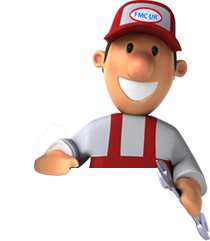 Fix My Car UK Nottingham . Car Servicing . MOT . Tyres . and SMART repairs in Nottingham. If you're looking for top quality car servicing and maintenance from a local company you can trust, you've come to the right place. You can also save up to 50% on main dealer prices in some cases. 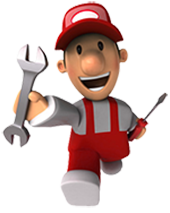 At fixmycaruk.com you get the best of both worlds – quality and price – when you choose our car servicing. We give you complete peace of mind with fully protected warranty, genuine original equipment (OE) quality parts, and all parts and labour guaranteed for twelve months or 12,000 miles. And we won't carry out any service work or any repair without letting you know the cost and getting your OK first. Will I save money on main dealer prices? Yes you will! You no longer need to pay main dealer prices for labour, parts or accessories... and that means you could easily save up to £100 on a full service – or even a lot more. These savings apply whether your car's still under warranty from the manufacturer, or outside the warranty period. Will my Vehicle manufacturer warranty be protected? Yes. There was a time when it was difficult to go anywhere other than a franchised dealer to get a car serviced when it was still within its warranty period. New European legislation has changed all that. You can now have your car serviced independently, away from a main dealer, without invalidating the manufacturer's warranty. Fixmycaruk.com car servicing lets you take full advantage of this freedom. We service your car according to the manufacturer's service schedule, using parts compliant to their guidelines, and with all the work done by qualified and fully trained technicians. Will the Parts and labour be guaranteed? All our work is quality assured and guaranteed, with all parts and labour carrying a twelve month or 12,000 miles warranty. Also as we only use genuine OE quality parts and materials, your vehicle warranty stays fully protected. Your car will be inspected and serviced according to our itemised service schedule. Every point will be thoroughly checked by our qualified technicians.